Laptop Bonanza - Buy Laptops Starting At Rs.10490 + Upto Rs.7500 Off On Ex. Laptop Bonanza - Buy laptops starting at Rs.10490 + upto Rs.7500 off on ex. at Flipkart. No coupon code required. Offer valid for limited period. Best Offer On Laptop - Get up to Rs.12000 off at Amazon India. Promo code not required for this offer. Check out the wide assortment of top class laptops available on Amazon India. Shop for a wide range of Laptops from top brands like HP, Dell, Lenovo, Acer, Apple, Asus, Microsoft, Intel and more. Buy gaming accessories and get upto 50% off at Flipkart. Exchange offers. No const EMI. Promo code not required for this offer.Offer valid for limited period. Buy lenovo laptops starting at Rs.39699 at Lenovo. No coupon code required. Offer valid for limited period. Lenovo Yoga - Save up to 18% on Liquid Blue - i5 Win 10 8GB 256GB SSD at Lenovo. Meet the Yoga 530, a stylishly compact 14-inch 2-in-1 laptop packed with features that will make the most of your entertainment and creativity: premium Intel® Core™ i7 processing and security options, Active Pen support, and dazzling visual and audio clarity for all of your multimedia needs. Lenovo Coupons - Get Rs.33,800 off on Thinkpad X1 Carbon - i5 Win 10 8GB SDD Black at Lenovo. Use latest coupon code to avail this offer. Offer valid till 30th April 2019. Lenovo Best Offer - Save Rs.8700 on blizzard white - i3 Win 10 4GB 1TB HDD at Lenovo. Use new promo code to avail this offer. Offer valid on products displayed on the landing page. Buy midnght blue - i3 win 10 4GB 2TB HDD and get flat Rs.8400 off at Lenovo. Use coupon code to avail this offer. Offer valid for limited period. Lenovo Voucher Code - Get Rs.37,500 off on Thinkpad X1 Extreme - i5 Win 10 16GB 512GB SDD Black at Lenovo. Use just arrived discount code to avail this offer. More detail on the landing page. Offer valid till 30th April 2019. Buy Ideapad 330 Slim i5 Win10 and get Rs.11650 off at Lenovo. No coupon code required. Offer valid for limited period. Save upto Rs.30,000 on Legion Y530 i7 Win10 gaming laptops at Lenovo. No coupon code required. Offer valid for limited period. Buy Yoga 350 Convertible I5 Win10 and get Save Upto Rs.15,300 on at Lenovo. No coupon code required. Offer valid for limited period. Buy Ideapad 330 i3 win10 1TB HDD and get save upto Rs.8700 on at Lenovo. No coupon code required. Offer valid for limited period. Lenovo Offer Code - Get additional Rs.2000 off on ThinkPad E480 at Lenovo. Use just arrived Lenovo promo code to avail this offer. Coupons will be valid on both categories of Thinkpad laptop. Offer valid till 30th April 2019. Buy intel core i3 laptops and get upto 30% off at Paytm Mall. No coupon code required. Offer valid for limited period. Buy HP gaming laptops starting at Rs.70999 at Paytm Mall. No coupon code required. Offer valid for limited period. Buy dell core i5 laptops and get upto 26% off at Paytm Mall. No coupon coupon code required. Offer valid for limited period. Buy thin & light laptops starting at Rs.19990 at Paytm Mall. No coupon code required. Offer valid for limited period. Lenovo Offer Code - Get up to 8% off on Thinkpad E480 at Lenovo. Use just arrived Lenovo promo code to avail this offer. Offer valid till 30th April 2019. Lenovo Coupons - Get Core i3 with 8GB RAM and 256 SSD laptop will be only Rs.45519 at Lenovo. Use best Lenovo coupon code to avail this offer. Happy New Year Sale - Buy gaming laptops starting at Rs.50490 at Paytm Mall. No coupon code required. Offer valid for limited period. Lenovo Coupons - Get 20% off on Ideapd 330 at Lenovo. Offer valid till 30th April 2019. Coupon code not required for this offer. Buy Ideapad 330S (14, Intel) at Rs.37840 at Lenovo. No coupon code required. Offer valid for a limited period. Get a Pink Sling Bag worth Rs.1,799 Absolutely FREE with Ideapad Pink Slim Laptop. Buy ThinkCentre M710 Tiny Desktop starting at Rs.36299 at Lenovo. No coupon code required. Offer valid for a limited period. Lenovo Offers - Get Core i5 16 GB RAM and 256GB SSD will be for Rs. 65943 Only at Lenovo. Best Sale On Lenovo - Get Rs.40582 off on Thinkpad P52s - i7 Win 10 16GB 1TB HDD Black at Lenovo. Get the latest Lenovo coupons on COUPONRANI.COM. Offer valid till 30th April 2019. More detail on the landing page. Sell your used/old laptops and get extra Rs.100 off from Cashify Coupons. Use promo code to avail discount. Get free pickup from doorstep, instant sale & cash on the spot. Get free Sony headphones of Rs.5990 and save up to INR 19,980 on Inspiron 15 5580 at Dell. No coupon code required. Offer valid on products which are listed on the landing page. Get free Sony Headphones of INR 5990 and Save up to INR 27,601 on Inspiron 15 7000 (7572) at Dell. No coupon code required. Offer valid on products which are listed on the landing page. Financial Year End Offer - Get Rewarded For Your Purchase at Dell. Technology accessories worth Rs.20000. No coupon code required for this offer. Buy lenovo model no G50-80 I3 5th gen processor for Rs. 28,499. No coupon code required. Hurry!! offer valid for a limited period. Buy lenovo model no G50-80 I5 5th gen processor for Rs. 44,999 . No coupon code required. Hurry!! offer valid for a limited period. Get Lenovo laptop starting from @ Rs.28,499 at AbeleStore. No coupon code required. Offer valid for a limited period. Buy lenovo model no B40-30 I3 4th gen processor for Rs. 23,000. No coupon code required. Hurry!! offer valid for a limited period. Buy lenovo model No B50-70 I3 4th gen processor for Rs. 24,000 . No coupon code required. Hurry!! offer valid for a limited period. Buy Lenovo Model no G50-80 I3 5th gen processor for Rs. 26,000. No coupon code required. Hurry!! offer valid for a limited period. Buy any 2 Vostro notebook & get 2 years warranty at Dell. Coupon code not required for this offer. 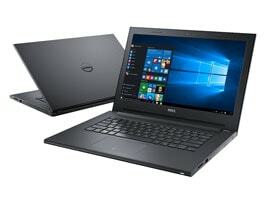 Save up to Rs.19770 off on Inspiron 14 7572 at Dell. No coupon code required. Offer valid on products which are listed on the landing page. Other benefits are Rs.3000 as instant cash off, Rs.1000 on 1-year Premium Support upgrade. Up to 60% off on laptop accessories at Addocart. No coupon code required. Offer valid for limited period. Get Free Sennheiser wireless headset worth INR 14,990 on Inspiron 15 7572 at Dell. No coupon code required. Offer valid on products which are listed on the landing page.